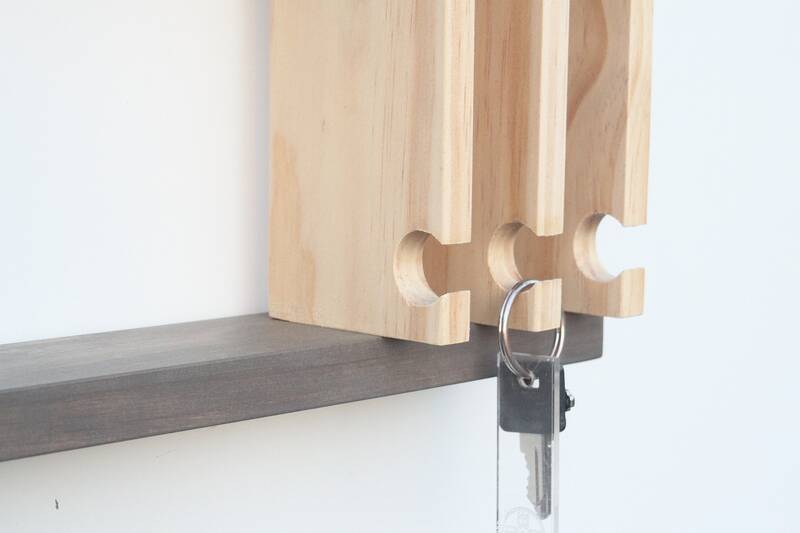 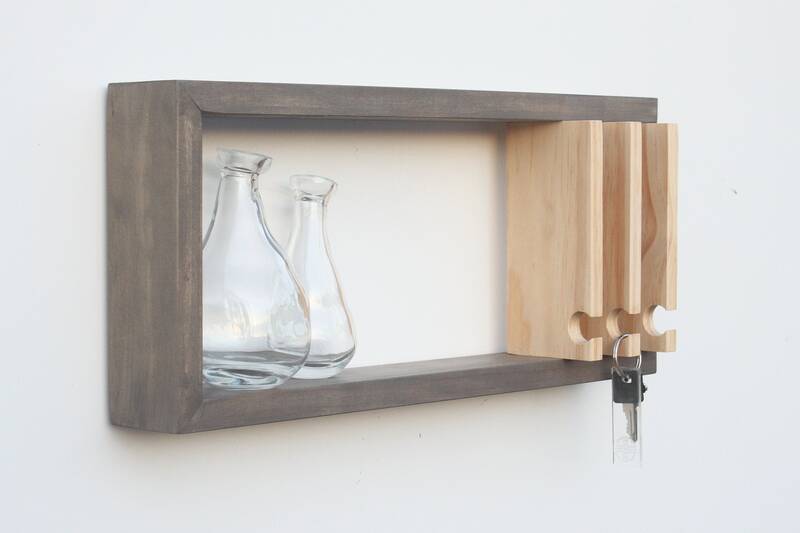 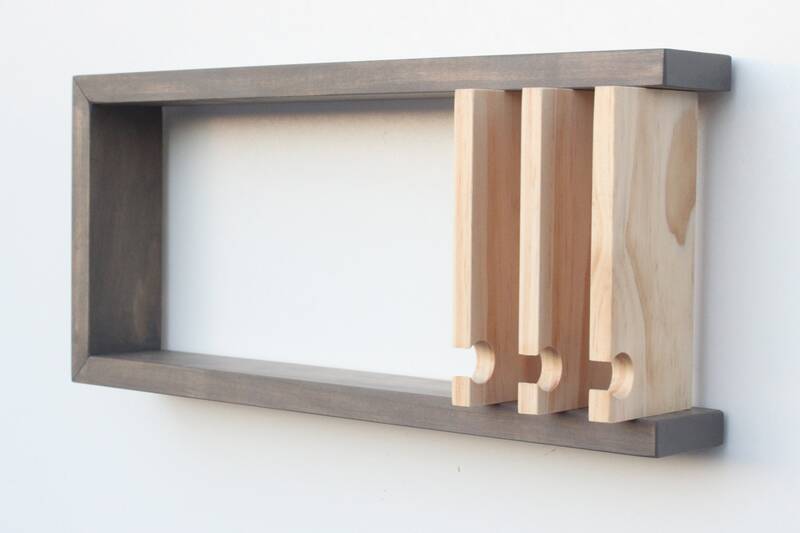 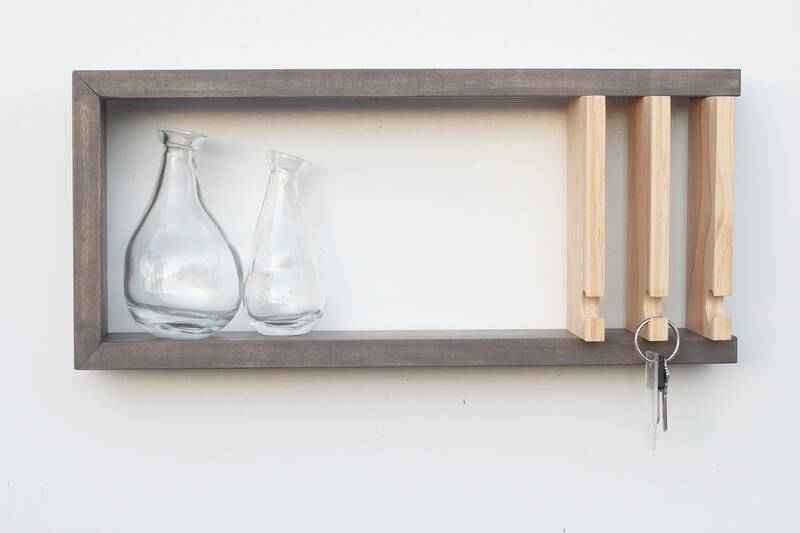 This handcrafted product is constructed of wood, and features three hooks for hanging keys, a 2-1/2" inch deep shelf, and a 3/4" slot behind the keys to slide mail. 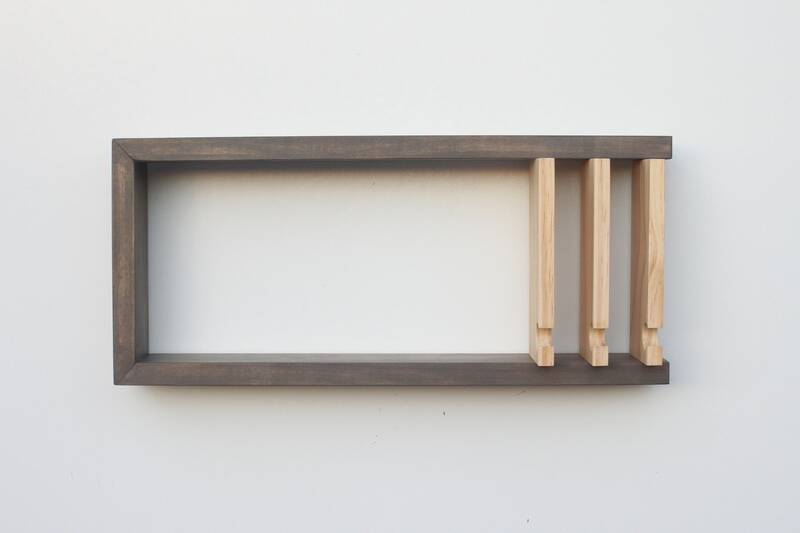 Our shelf with hooks also works great as a jewelry rack for hanging necklaces, watches, bracelets and storing/displaying perfumes or other small trinkets. 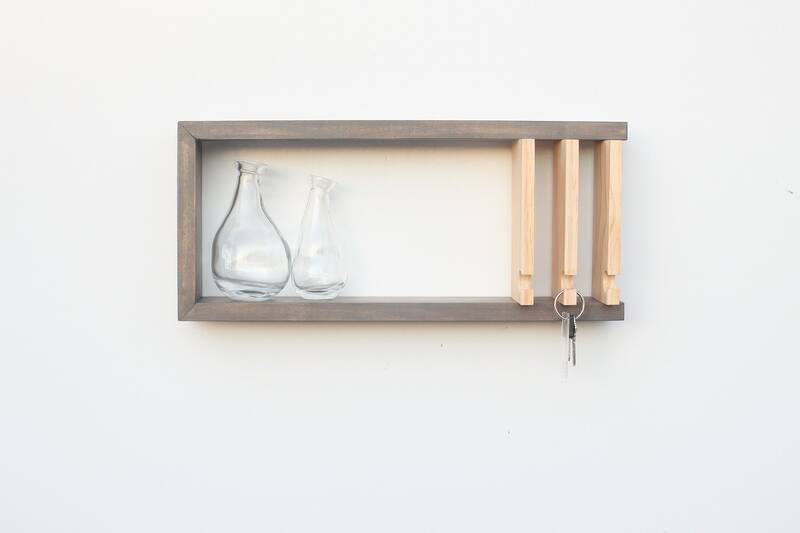 ♣ Color: BriarSmoke (brownish-gray) wood stain with natural wood key hooks. 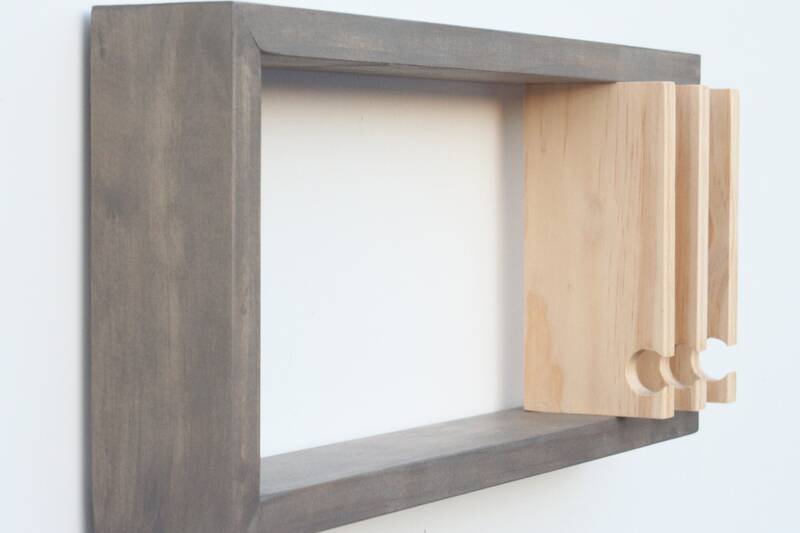 The item is finished with a modern matte clear coat.